I envision this as an art book. ‘Video game spirituality’ is an idea that formed in my mind while I was working on my dissertation. I hadn’t played video games for several years prior to this time, but while finishing up the dissertation I realized I needed a fun, mindless reward for my frequent work sessions. Video games served this purpose perfectly. In the following months and years, I became increasingly involved in video gaming, and realized that it had become an important part of my own mental health. I played video games both to relax, and as a way of tapping into the goal-focused part of my brain (in a video game, there is always a goal) in a fun, relaxed manner. While playing video games, many insights came to me about how to successfully pursue goals, and how to enjoy the process all along the way – many of these insights became central to the ideas expressed in The Creative Process Diet. For example, when I am playing an extremely challenging level on a video game that I really want to beat, I find that it’s important for me to detach from my urgency to get to the goal. I have to find some way of falling in love with the simple experience of playing the game, of enjoying the beauty of the level, the sights and sounds, etc., while at the same time still ‘holding’ in my mind the image of myself achieving the goal. I have to allow my consciousness to wrap itself around the level in its entirely, around my path through the level, all the enemies and obstacles in the level, etc., and to do this in a relaxed manner that is, paradoxically, both attached and detached. When I get into this headspace (the headspace where I am simultaneously respecting my twin motto-mantras of ‘warrior mindset’ and ‘keep it fun’ [as described in reference to The Museum of Personal & Social Transformation]), I experience an amazing kind of ecstasy in which I fall in love entirely with the present moment itself. Then, seemingly almost without any direct intervention on my part, I will witness myself beat the level. This fun, empowering experience is something that helped me to recover from my 'initiatory sickness', to finish my dissertation, to complete The Creative Process Diet, and to continue to work on my goals. I like the idea of creating Video Game Spirituality as an art book in collaboration with one or more other people. I still need to get more clarity about exactly how I would like to approach this project. I could work with other video game fans, other artists, and maybe I could even approach the Nintendo company and ask if they would be interested in collaborating. In my mind I see the art book as a fun, colorful, magical, outrageous, playful art object that conveys the basic ideas I have about ‘video game spirituality’ through words and images – most importantly, in a way that helps the viewer to gain insights on how to apply the ideas to the process of achieving success with one’s own personal goals. 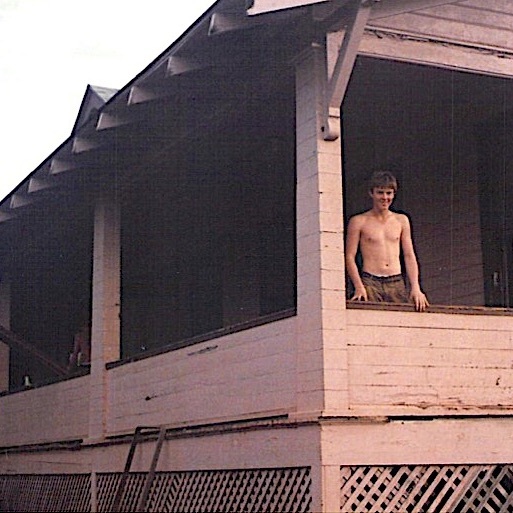 Coming of Age is my idea for a memoir of an experience I had when I was 15 years old, in which I went to Hawaii for 3½ months to pick pineapples as part of a program for young males (most of whom ended up being juvenile delinquents, which I didn’t find out until I got to Hawaii). I would like to publish this book myself, but I want to create it in collaboration with a ghost writer (or even with someone such as E. L. James). My idea is to follow a similar process to how Hunter S. Thompson wrote Fear and Loathing in Las Vegas: He sat together with his ghost writer, and together they had a series of very long recorded conversations, which allowed the ghost writer to then piece together the story and create the book. This is basically the same thing I would like to do for Coming of Age. Unlike Thompson, however, I would like to bring my ghost writer out of the shadows and credit that person as a co-author. This is an idea for a project in which I create one united, unitary Syncretic Book that unites all the worldwide ancient spiritual books (i.e., the Bible, the Quran, the Upanishads, the Tao Te Ching, etc etc.) that have endured for millenia, all into one single, united, unitary book. Essentially what I would like to do is to translate the content of these books into a text that authentically represents my values, and structurally, I would like all of the text to be melded together into one comprehensive, unitary, patchwork-quilt-like narrative. I would like to design the book in such a way that it gives the reader the deepest possible experience of gratitude. In other words, through both the content of the text and the design of the book itself, I would like to invoke in the reader an overwhelming experience of gratitude, one so overwhelming that it cannot be resisted by anyone who opens up the book and begins to peruse its pages. Prophet Oprah and the various authors to whom she has given voice (there would be no 'The Secret' without Oprah) have helped me to understand that gratitude really is the most powerful fuel for energizing personal and social transformation. It is at the very center of my spiritual life, at the center of all the ecstasy and satisfaction I experience in this life. I envision the cover of Syncretic Book as a dark night sky speckled with millions of bright stars. Along with the book, I would like to develop both (a) some type of 'Syncretic Meeting', a simple worship format that emerges from the process of creating the book (I anticipate this being based on forms of worship that have evolved within the Religious Society of Friends of the Truth) and (b) some kind of 'Syncretic Performance' (also something that emerges from the process of creating Syncretic Book) in which artistic performance can be used to facilitate direct expression of the divine will.